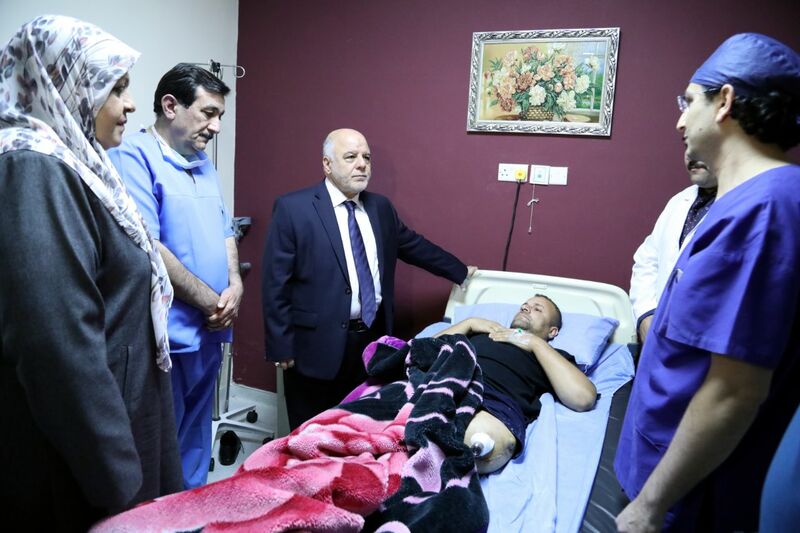 His Excellency Prime Minister Dr. Haider Al-Abadi has visited the wounded of our heroic forces at the Prosthetic Center at Ibn Sina hospital. His Excellency has briefed on the conditions of the wounded who were treated with the Prosthetic surgeries after his Excellency allocated the necessary funds for the national project for the Prosthetic limbs to the wounded of the military operations, while an Australian medical team and other countries visiting the country to conduct operations. Dr. Haider Al-Abadi has directed for facilitating all measures that would assist the inpatients wounded in the military operations and providing them with care and offering all the requirements for the success of their surgeries.